PhD degree in hydrology from the Delft University of Technology, The Netherlands, Thesis: "Regional vegetation water effects on satellite soil moisture estimations for West Africa"
Streams of Though on Broader Impacts Can Bring Hydrological Processes to Life at the Young Hydrologic Society blog (July 29, 2018). Blog entry about the AGYA science comic on zweikommazwei, the blog of the Forschungszentrum Jülich (February 9, 2018) (in German). Von Biobrennstoff und Beerenhelfern. Media review with the AGYA science comic on BIOÖKONOMIE.DE (February 5, 2018) (in German). Wissenschaft trifft Comic! AGYA press release (January 26, 2018) (in German). Premiere mit Vorträgen zum 1. AGYA „Science Comic“. 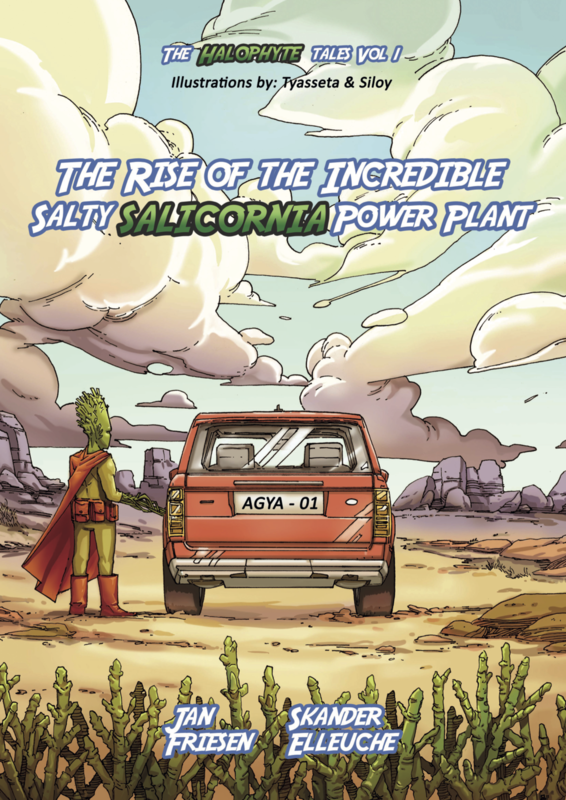 The Society for Comic Research (Gesellschaft für Comicforschung) reports on the launch event of the AGYA science comic (January 26, 2018) (in German). 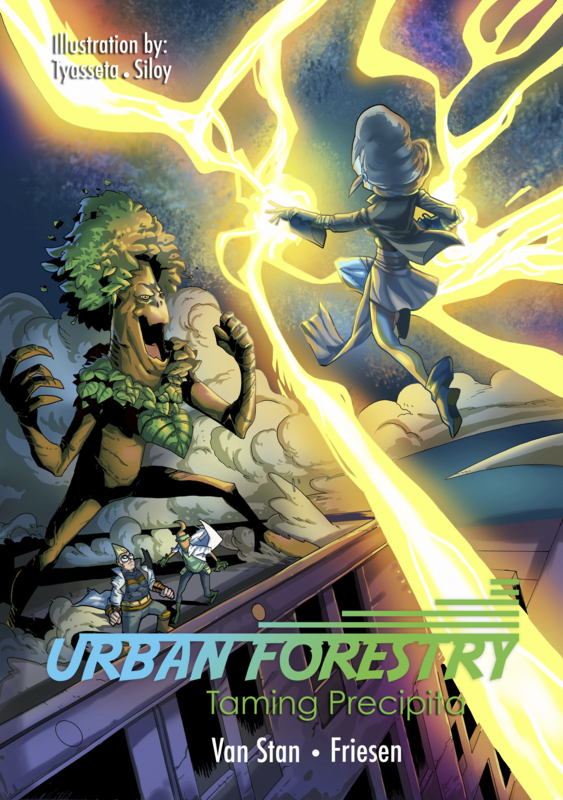 Invasion of the Trees: Professor’s comic connects entertainment to plant sciences Georgia Southern University press release (June 23, 2017). Auf den Spuren des Grundwassers im Süd-Oman UFZ press release (June 15, 2017). Covered by Leipziger Volkszeitung on June 15, 2017 (both in German). 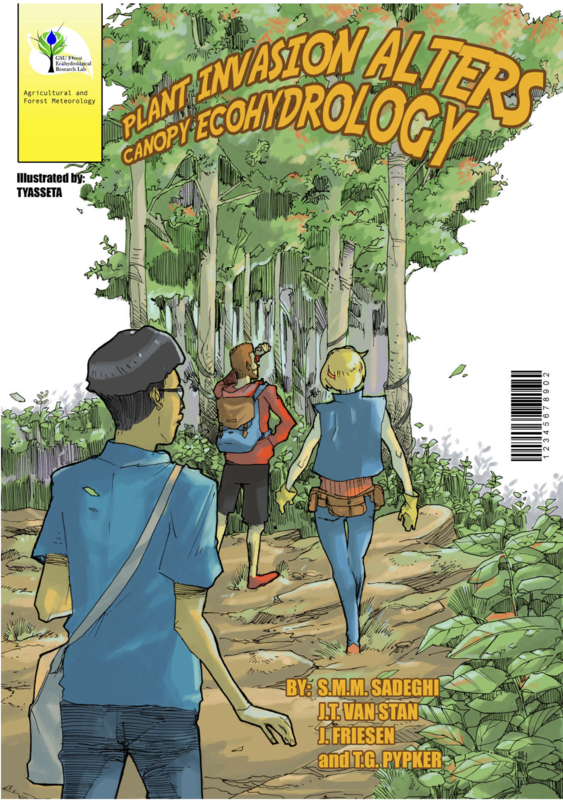 Plant Invasion Alters Canopy Ecohydrology! Graphic novella by artist Bagus Seta (Tyasseta) based on the scientific story told in Sadeghi et al. (2017), Agricultural and Forest Meteorology, 240, 10. AGYA in discussion: Spotlight on Survival Artists: Saltwater Plants as Biomass for Energy Production? AGYA in discussion: The Path to Publication - Biologist Skander Elleuche and Geoscientist Jan Friesen talk on publication strategies in natural sciences. Scitech 2016 Episode 5 ‚Plants for green future‘. The Dhofar cloud forest, Oman, and its interaction with the groundwater resources is explained by Dr. Jan Friesen, Dr. Thomas Müller, and Dr. Abdullah Bawain. (Starting at minute 10:11, in arabic). N. Michelsen, G. Laube, J. Friesen, S. Weise, A. Bait Said, T. Müller (2019) A microcontroller-based automatic rain sampler for stable isotope studies. Hydrology and Earth System Sciences Discussions. doi:10.5194/hess-2019-93. J. Friesen, L. Rodríguez-Sinobas (Eds.) (2018) Advanced Tools for Integrated Water Resources Management. 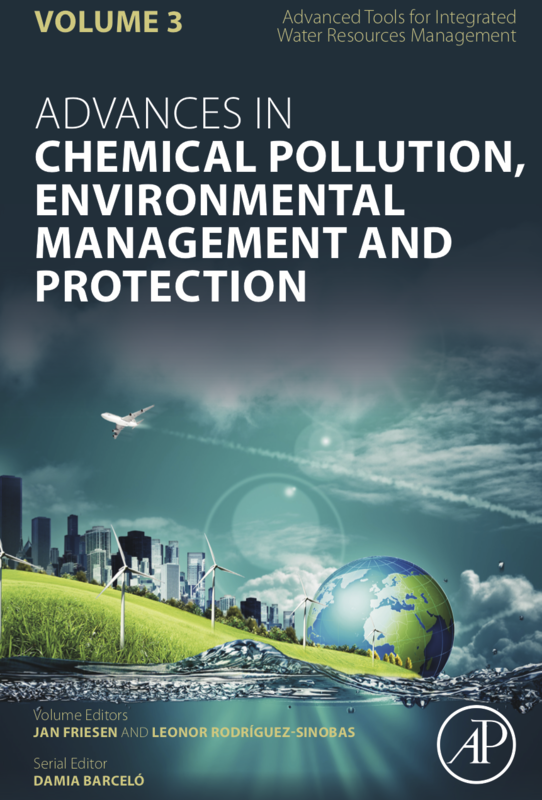 Advances in Chemical Pollution, Environmental Management and Protection, Elsevier, Volume 3, 276 p., ISBN 9780128142998. 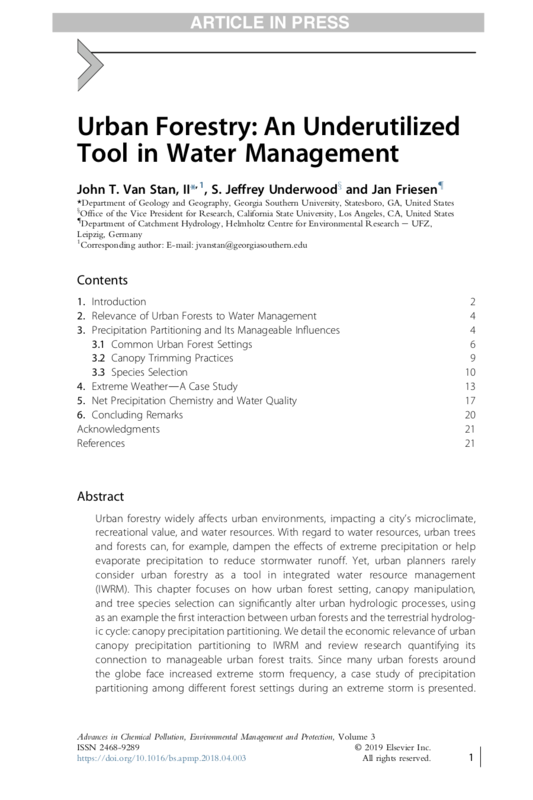 J. T. Van Stan, S. J. Underwood, J. Friesen (2018) Urban forestry: An underutilized tool in water management. In: Advances in Chemical Pollution, Environmental Management and Protection: Advanced Tools for Integrated Water Resources Management, Volume 3. Eds. J Friesen and L. Rodriguez-Sinobas. Elsevier. ISBN: 978-0-12-814299-8, doi:10.1016/bs.apmp.2018.04.003. J. Friesen, S. Elleuche, J. T. Van Stan II (2018) Communicating Science through Comics: A Method. Publications, 6, 38. J. Friesen, M. Zink, A. Bawain, T Müller (2018) Hydrometeorology of the Dhofar cloud forest and its implications for groundwater recharge. Journal of Hydrology: Regional Studies, 16(54:66), doi:10.1016/j.ejrh.2018.03.002. S.M.M. Sadeghi, J.T. Van Stan, T.G. Pypker, J. Tamjidi, J. Friesen and M. Farahnaklangroudi (2018) Importance of transitional leaf states in canopy rainfall partitioning dynamics. European Journal of Forest Research. 1:10. doi:10.1007/s10342-017-1098-4. D.S. Schmeller, A. Loyau, K. Bao, W. Brack, A. Chatzinotas, F. De Vleeschouwer, J. Friesen, L. Gandois, S.V. Hansson, M. Haver, G. Le Roux, J. Shen, R. Teisserenc, V. Vredenburg (2018) People, pollution and pathogens – global change impacts in mountain freshwater ecosystems. Science of The Total Environment 622–623(756:763), doi:10.1016/j.scitotenv.2017.12.006. J.T. Van Stan, Z. Norman, A. Meghoo, J. Friesen, A. Hildebrandt, J.-F. Côte, G. Maldonado (2017) Edge-to-stem variability in wet canopy evaporation from an urban tree row. Boundary-Layer Meteorology, 165(295:310). doi:10.1007/s10546-017-0277-7. E.D. Gutmann, J.T. Van Stan, J. Friesen, D.P. Aubrey, J. Lundquist (2017) Observed compression of in situ tree stems during freezing. Agricultural and Forest Meteorology. 243(19:24). doi:10.1016/j.agrformet.2017.05.004. S.M.M. Sadeghi, J.T. Van Stan, T.G. 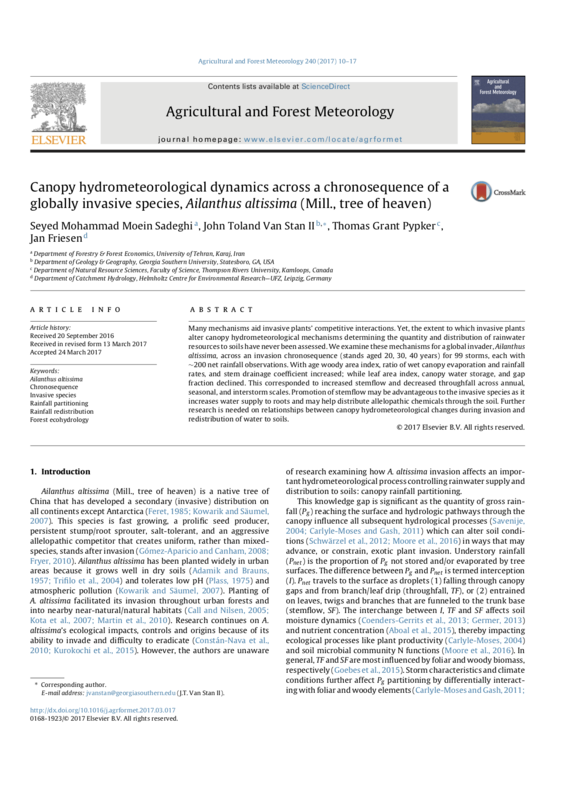 Pypker, and J. Friesen (2017) Canopy hydrometeorological dynamics across a chronosequence of a globally invasive species, Ailanthus altissima (Mill., tree of heaven). Agricultural and Forest Meteorology. 240–241(10:17). doi:10.1016/j.agrformet.2017.03.017. U. Wollschläger, S. Attinger, D. Borchardt, M. Brauns, M. Cuntz, P. Dietrich, J. H. Fleckenstein, K. Friese, J. Friesen, A. Harpke, A. Hildebrandt, G. Jäckel, N. Kamjunke, K. Knöller, S. Kögler, O. Kolditz, R. Krieg, R. Kumar, A. Lausch, M. Liess, A. Marx, R. Merz, C. Mueller, A. Musolff, H. Norf, S. Oswald, C. Rebmann, F. Reinstorf, M. Rode, K. Rink, K. Rinke, L. Samaniego, M. Vieweg, H.-J. Vogel, M. Weitere, U. Werban, M. Zink, S. Zacharias (2017) The Bode Hydrological Observatory: A platform for integrated, interdisciplinary hydro- ecological research within the TERENO Harz/Central German Lowland Observatory, Environmental Earth Sciences, 76:29. doi:10.1007/s12665-016-6327-5. J. Friesen, L. Rodriguez Sinobas, L. Foglia, and R. Ludwig (2017) Environmental and socio-economic methodologies and solutions towards integrated water resources management. Science of the Total Environment, Volumes 581–582(906:908). doi:10.1016/j.scitotenv.2016.12.051. M. Strauch, R. Kumar, S. Eisner, M. Mulligan, J. Reinhardt, W. Santini, T. Vetter, and Friesen, J. (2017) Adjustment of global precipitation data for enhanced hydrologic modeling of tropical Andean watersheds. Climatic Change, 14(3), 547-560. DOI:10.1007/s10584-016-1706-1. Siebert, C., Rödiger, T., Schulz, S., Horovitz, M., Merz, R., Friesen, J., Dietrich, P., Michelsen, N., Kallioras, A., Rausch, R., Engelhardt, I., Al-Saud, M., Schüth, C. (2016): New tools for coherent information base for IWRM in arid regions: the Upper Mega Aquifer System on the Arabian Peninsula. In: Borchardt, D., Bogardi, J., Ibisch, R., (eds. ), Integrated water resources management: Concept, research and implementation, Springer. Van Stan, J.T., Lewis, E.S., Hildebrandt, A., Rebmann, C., Friesen, J. (2016) Impact of interacting bark structure and rainfall conditions on stemflow variability in a temperate beech-oak forest, central Germany. Hydrological Sciences Journal/Journal des Sciences Hydrologiques, 61(11). 2071–2083. doi:10.1080/02626667.2015.1083104. J. Friesen, J. D. Lundquist, and Van Stan, J. T. (2015): Evolution of forest precipitation water storage measurement methods. Hydrological Processes, 29, 2504–2520. doi: 10.1002/hyp.10376. G. Strauch, K. S. Al-Mashaikhi, A. Bawain, K. Knöller, J. Friesen and T. Müller (2014): Stable H and O isotope variations reveal sources of recharge in Dhofar, Sultanate of Oman. Isotopes in Environmental and Health Studies, doi:10.1080/10256016.2014.961451. Mallast, U., Gloaguen, R., Friesen, J., Rödiger, T., Geyer, S., Merz, R., and Siebert, C. (2014): How to identify groundwater-caused thermal anomalies in lakes based on multi-temporal satellite data in semi-arid regions, Hydrol. Earth Syst. Sci., 18, 2773-2787, doi:10.5194/hess-18-2773-2014. Van Stan, J. T., II, K. Martin, J. Friesen, M. T. Jarvis, J. D. Lundquist, and D. F. Levia (2013): Evaluation of an instrumental method to reduce error in canopy water storage estimates via mechanical displacement, Water Resour. Res., 49, doi:10.1029/2012WR012666. Susan Steele-Dunne, J. Friesen, and N. van de Giesen (2012): Using Diurnal Variation in Backscatter to Detect Vegetation Water Stress. IEEE Trans. on Geosci. Remote Sens. Vol. 50, no. 7pp. 2618-2629, Jul. 2012. J. Friesen, Susan Steele-Dunne, and N. van de Giesen (2012): Diurnal differences in global ERS scatterometer backscatter observations of the land surface. IEEE Trans. on Geosci. Remote Sens. Vol. 50, no. 7pp. 2595-2602, Jul. 2012. P. G. Oguntunde, A. E. Ajayi, J. Friesen, N. van de Giesen, and P. L. G. Vlek (2011): Seasonal Variation of Temporal Patterns of Water Flux in a Cashew Orchard under Sub-humid Tropical Conditions. 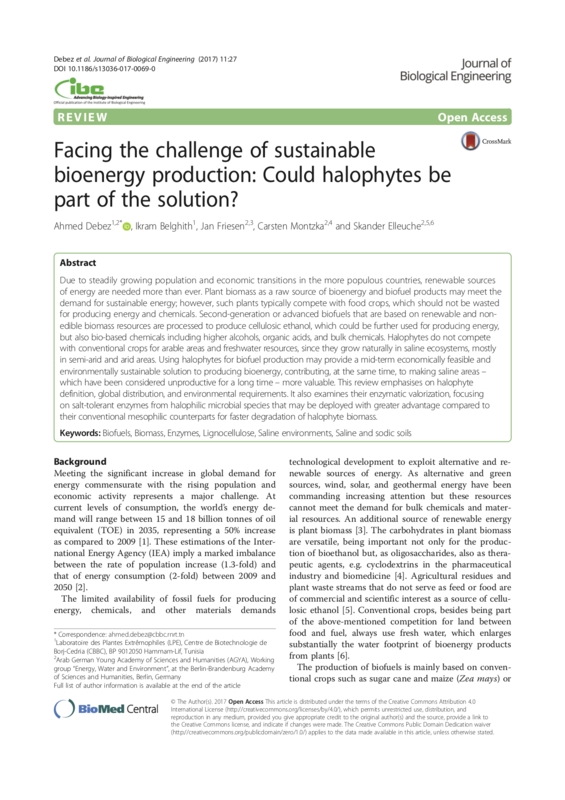 Journal of Crop Improvement, 25(5). pp. 504-520, doi: 10.1080/15427528.2011.591482. J. Van Stan, M. Jarvis, D. Levia, and J. Friesen (2011): Instrumental method for reducing error in compression-derived measurements of rainfall interception for individual trees. Hydrological Sciences Journal/Journal des Sciences Hydrologiques, 56(6). pp. 1061-1066, doi: 10.1080/02626667.2011.590811. R. de Jeu, W. Wagner, T. Holmes,H. Dolman, N. van de Giesen, and J. Friesen (2008): Global Soil Moisture Patterns Observed by Space Borne Microwave Radiometers and Scatterometers. Surveys in Geophysics, 29(4), pp. 399-420, doi:10.1007/s10712-008-9044-0. J. Friesen, C. van Beek, J. Selker, H.H.G. Savenije, and N. van de Giesen (2008): Tree Rainfall Interception Measured by Stem Compression. Water Resources Research, 44, W00D15, doi:10.1029/2008WR007074. R. De Lange, R. Beck, N. Van de Giesen, J. Friesen, A. de Wit, and W. Wagner (2008):Scatterometer derived soil moisture calibrated for soil texture with a one-dimensional water flow model. IEEE Transactions on Geoscience and Remote Sensing, 46(12), 4041-4049. J. Friesen, C. Rodgers, P.G. Oguntunde, J.M.H. Hendrickx, and N. van de Giesen (2008): Hydrotope-based protocol to determine average soil moisture over large areas for satellite calibration and validation - With results from an observation campaign in the Volta Basin, West Africa. IEEE Transactions on Geoscience and Remote Sensing, 46(7), 1995-2004. J. Friesen, H. C. Winsemius, R. Beck, K. Scipal, W. Wagner, and N. van de Giesen (2007): Spatial and seasonal patterns of diurnal differences in ERS Scatterometer soil moisture data in the Volta Basin, West Africa. IAHS Red Book Series 316. IAHS Press, Oxfordshire, UK, pp. 47-55. Hendrickx J.M. , Sung-ho Hong, J. Friesen, H. Compaore, N. C. van de Giesen, C. Rodgers, and P. L. Vlek (2006): Mapping energy balance fluxes and root zone soil moisture in the White Volta Basin using optical imagery. Proc. SPIE Vol. 6239, pp. 62390Q.1-62390Q.12. Oguntunde P.G., J. Friesen, van de Giesen N., and Savenije H.H.H. (2006). Hydroclimatology of the Volta River Basin in West Africa: Trends and Variability from 1901-2002. Physics and Chemistry of the Earth, 31 (18), pp. 1180-1188. Hendrickx J.M., J. Bruce J. Harrison, R. L. van Dam, B. Borchers, D. I. Norman, C. D. Dedzoe, B. O. Antwi, R. D. Asiamah, C. Rodgers, P. Vlek, and J. Friesen (2005): Magnetic soil properties in Ghana. Proc. SPIE Vol. 5794, pp. 165-176. Friesen, J., Andreini M., Andah W., Amisigo B., and van de Giesen, N. (2005): Storage capacity and long-term water balance of the Volta Basin, West Africa. IAHS Red Book Series 296. IAHS Press, Oxfordshire, UK, pp. 138-145.